The past few decades have seen great changes in the methods we can use to straighten your teeth. Braces have come a long way! See what choices are available to you or your child. It used to be that we only had one choice in appliances to straighten our teeth; bulky and uncomfortable metal braces that were unsightly and often painful. Today we have many methods to treat our patients and the braces available to us have drastically improved in terms of esthetics and comfort. At Rockland Orthodontist, we pride ourselves in using only high quality time-tested braces manufactured by well known and respected companies. These are the braces everyone knows and remembers. However, today’s metal braces are much smaller and more comfortable than they used to be. A wire is placed over the braces and held in place using elastic bands. Have fun with your elastic bands! Choose from over 20 color choices and change your color and style each time you come in. Choose one color, two alternating colors to support your favorite hockey team or a rainbow of colors, the choice is yours. These braces work just as well as the traditional metal braces, with the only difference that they are barely visible since they are made with a ceramic composite that is tooth colored. At Rockland Orthodontist, we recognize the importance of esthetics and that’s why we have decided to offer clear braces at no additional charge. And don’t worry; they don’t change color just because they are clear. Just like a white ceramic bowl can be washed clean without staining after eating a bowl of spaghetti with tomato sauce, the same is true for clear braces. Fort those of you wondering, you could still have fun with the colors of your elastic bands with your clear braces, just pick the color and style you want at each appointment or plan ahead by visiting this website. We work with you to find a financial schedule that suits your needs. Treatment cost varies based on whether it is an early treatment or full comprehensive treatment and depending on the initial diagnosis and extent of treatment needed. For your well-being and safety, be weary of fast, cheap and promotional offers to straighten your teeth. Often these quick fixes are proposed by companies or individuals who don’t have the extensive and specialized university training of an orthodontist. Please visit the Federation of Dental Specialists of Quebec website for additional information. Everyone should have access to the best orthodontic care, to ensure this, we offer interest free extended financing throughout your treatment on all our treatment options. Don’t forget to let us know if your have insurance coverage so that we could complete a form for you. 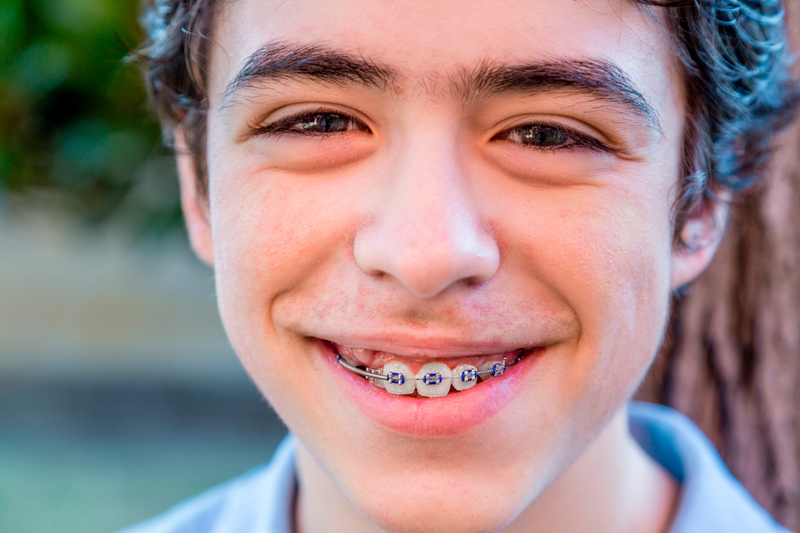 Do I need braces or does my child need braces? Most people of any age who want to improve the overall appearance of their smile can get braces. But some people need braces beyond esthetic reasons in order to protect teeth from exaggerated wear, improve jaw function and overall oral health. Early treatment with braces can sometimes even improve the growth and development of a child’s jaws and teeth. At what age can I bring my child in for a consultation? The American and Canadian Associations of Orthodontists recommend that children visit an orthodontist for the first time by age 7. You do not need a prescription from your dentist to consult with an orthodontist. Our early treatment section summarizes some examples of common orthodontic corrections needed in young children. Braces begin working immediately after they are gently placed on your teeth. A series of wires is used starting from very thin, flexible and elastic wires and ending with slightly bigger, more sturdy wires to gradually align your teeth. There is no “tightening” of the wires as in the past. Sometimes, rubber bands are used during your treatment to work on improving your bite and the way your upper and lower teeth fit together. How often you need to wear these rubber bands depends on your individual treatment needs. The actual appointment of getting your braces on is far from painful and may even be fun if you bring your favorite music or show to listen to while we work. The soreness sets in the next morning and only when you touch your teeth together while chewing, that’s why a soft diet is in order. This sensitivity rarely lasts for more than a week and is easily relieved with over the counter pain killers. Do clear braces change color? Please visit our clear braces section for more information.